The British Gazette » Homo Sapiens: the future. Above left: “the Creature.” Above right: “Seven of Nine. 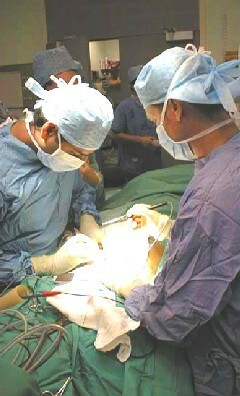 Above left: modern transplant surgery. Above right: who knows. Recently (as of October 2010), one of this country’s leading physicists, Professor Stephen Hawking, CH, CBE, FRS, FRSA, has been giving an illuminating series of TV documentaries aimed at we the ordinary general public on the origins and the future of the universe and of this planet and our species. Professor Hawking speculated upon future developments in technology regarding humanity travelling across the vast distance of inter-stellar space. Professor Hawking kept his feet and those of his audience very much on the ground by limiting this speculation to technology a scientist such as he can reasonably hypothesise upon. Thus he kept his speculation to such as nuclear cored rocket and multi-generational spaceships traversing 20 light years in 73 years. Professor Hawking also speculated upon the possibilities of medical technology (through genetic manipulation) of extending the human lifespan to make such long journeys more feasible. Professor Hawking steered well clear of making any mention of fanciful possible technologies such as travelling through “wormholes”, “space drives” that fold space and so forth. This presumably for the very sensible reason that even such as Professor Hawking has virtually no idea of how such fanciful notions could even begin to work. That is not to say that in future our descendents will not develop and implement such technology. It is just that even our greatest minds such as Professor Hawking can not even begin to seriously figure out how to construct such. Put it this way: Could Sir Isaac Newton – another of this country’s great minds – have designed the Hadron Large Collider? Of course not! He would not know where to start! So far as constructing a super-photic (faster than light) space ship is concerned, Professor Hawking is in the same position as Sir Isaac Newton. Of course authors of science fiction and TV producers of the same genre are not limited by reality and some popular TV series have been produced. Prominent among these have been the US TV series “Star Trek” that over the course of nearly half a century now have had tales of humans flying through space and doing battle with various alien species – all of whom bear an extraordinarily close resemblance to humans and invariably speak perfect English – albeit with a Californian accent! British Gazette readers may well baulk at the following British Gazette comment: It is possible that a scenario in one of the Star Trek series my hold a clue to humanity’s future. If we were to state that the alien characters known as “the Borg” may in a tiny way point towards our future most readers would at this point regard the Editor as having lost all sense of perspective and reality. Not so. By making this suggestion, do we mean to suggest that humanity is going to be forcibly assimilated by a race of alien humanoid cyborgs? Of course not! As we have stated, the idea that IF – and it is still a very big if – alien life “is out there” the notion that it bears ANY resemblance to life on Earth is completely nonsensical. And as for the “assimilation” of different alien species is concerned, compatibility will be ludicrously impractical. As the late Dr. Carl Sagan stated, the idea of a human mating with an alien is more impractical than the idea of a human mating with a petunia! So, what is the British Gazette going on about? 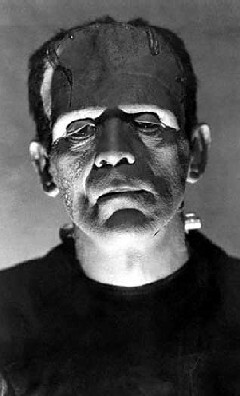 Consider the Hammer horror remakes of the Frankenstein movies. Typically we had one Baron Frankenstein – played by the late Peter Cushing, going out with an accomplice under the cover of darkness grave robbing, cutting off limbs and so forth from recently buried cadavers. These organs were wrapped in sacking and taken back to the laboratory in his castle whereupon they were put in fluid filled glass jars and kept at room temperature. These organs from numerous cadavers were the sewn together with what looked like a sail-maker’s needle and twine. This stitched up collection of body parts was then placed on a steel frame and raised up to the roof of the laboratory and connected to a lightening rod. The Baron then waited for a lightening storm, which conveniently struck the lightening rod and sparked the collection of body parts into life. The creature was then reanimated and to everybody’s horror possessed greater strength by far than that possessed by the original owners of the organs when alive! This therefore is clearly complete nonsense! Now, compare the above with modern transplant surgery. No comparison? But there is. It is just that the reality is very far removed from the fantasy. Now let us consider a possible future for humanity keeping in mind the Borg. In his book, “March of the Machines”, Professor of Cybernetics at the University of Reading, Dr. Kevin Warwick speculated about a future in which humanity was enslaved by electronic intelligence (machines) that had become “self aware” and had rapidly evolved into a collective intelligence that was able to “take over” humans. The book painted a picture of a grim future. Dr. Warwick clearly meant this work to serve as a warning to us. The British Gazette puts forward an alternative scenario: that computers do indeed become “self aware” and become another intelligent species on earth. That such intelligence by its very nature will far exceed ours. This intelligence may however have in mind a far different fate for its creator – humanity – than that envisaged by Dr. Warwick. At this point the British Gazette would ask its readers to ponder the plight of Professor Hawking. The professor suffers from motor neurone disease and finds his brilliant mind trapped in a virtually useless body. His is one of the cruellest conditions and of course everybody who knows of this man’s condition has huge sympathy for him. Consider this though: A highly advanced computer system that links up with itself to form a hugely intelligent self aware intelligence will be in a position vaguely similar to the professor. It will possess a brilliant mind but in what? A steel box. It may well be the case that such an intelligence would propose – or even impose – a Faustian pact. A melding and a merger between human intelligence and it. This would “overnight” achieve a quantum advance in the intellectual capabilities of humanity greater than anything gone before. With such intelligence the combined human/machine intelligence could achieve technological advances in a space of time so short as to be unimaginable now. So, when are computers likely to become self aware? Fifty years from now. That its critics amongst the Europhiles and the Greens will seize on this article to falsely portray the British Gazette and its Editor as suggesting that the “we are all going to be assimilated by the Borg.” Of course this will be an absolute lie. But then lies are these peoples stock in trade. While I have great respect for Stephen Hawking I cannot accept his rejection of God. 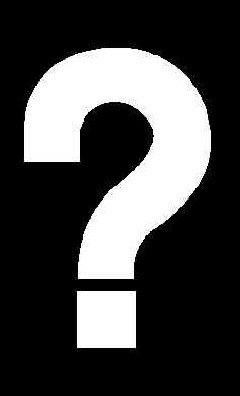 For me there is no problem in accepting the scientific explanation of the universe and, at the same time worshiping God. I simply consider Science as the tool used by God to create the universe and,thus, there should be no conflict between Religion and Science. In the future it is this line of thought which I think the Human race will follow and much peace will lay down that road. Its only a matter of time how long it takes for us to get to there, but get there we eventually will. A decade ago leading South African astro-physicist, Dr Louw Alberts, spoke on “Why I as scientist believe in a Personal God”. He ended his well-based lecture with the following conclusion. I concede that to believe in God needs a leaps of faith, but you must concede in the light of the intelligent order of all things great and small that to be believe that God does not exist takes a a greater leap of faith. I’m afraid that as far as Professor Hawkins, with his flawed theory of creation, is concerned, his arrogance is only matched by his ego. I much prefer the story of creation as written in Genesis, and which makes much more sense.